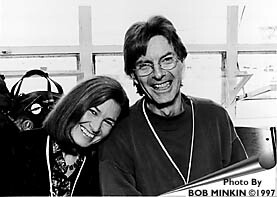 On Sunday, December 7th, a special event was held at Maritime Hall in San Francisco, hosted by Phil Lesh. The event, called, appropriately enough, "PhilHarmonia," is a continuation of an ancient tradition -- that of family and friends gathering together during the holiday season to raise their voices in sweet harmony. In this case, the circle of family and friends included everyone in attendence at Maritime Hall: the audience joining in a glorious chorus of singing voices. 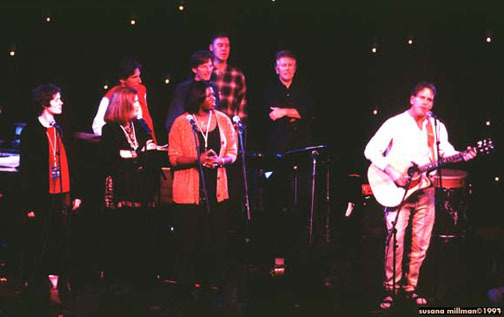 In explaining the inspiration behind the event, Phil recently said, "It has been my experience that the feeling generated by communal singing easily equals anything that an 'audience' receives from passive reception at a 'performance...'" PhilHarmonia is designed, he continues, "so that everyone who participates will leave with that feeling of joy that comes from singing together with a thousand people." 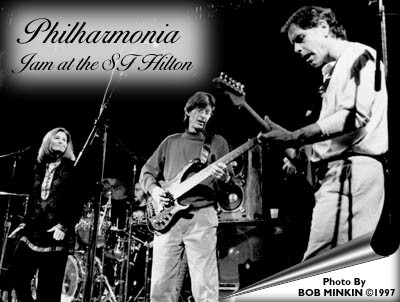 That "PhilHarmonia" was conceived to promote harmony and togetherness is entirely in keeping with the event's primary purpose -- to bring members of the Bay Area community together to help people in need: "PhilHarmonia" is the first major benefit event staged by and for the Unbroken Chain Foundation. 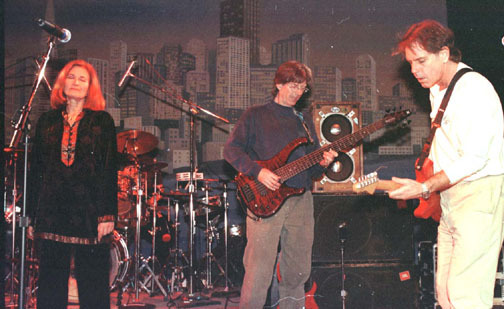 Created in the spring of 1997 by Phil Lesh and friends, the Unbroken Chain Foundation is a non-profit organization which seeks to perpetuate the long-standing tradition of community service that has been a hallmark of the remarkable three-decade relationship between the Grateful Dead and its audience. 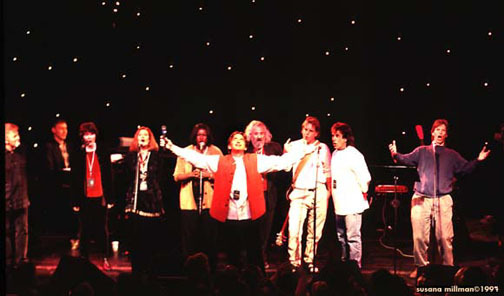 The Foundation's mission is to generate support for, and public awareness of, groups and individuals that nourish hope and inspiration in communities where great need exists, and to create partnerships of people working together for a common good, especially in such areas as the arts, education and the environment. The first beneficiaries of Unbroken Chain funding will be, very appropriately, three organizations doing quietly heroic work right in the heart of the city with which Phil and the Grateful Dead will forever be most closely associated, San Francisco. After the event, the special $150 ticket people were treated to some live music at the Hilton Hotel. Here we see Donna Jean, Phil, and Bobby playing Birdsong, with David Gans and the Broken Angels. Here's a couple of nice pictures from Bob Minkin!